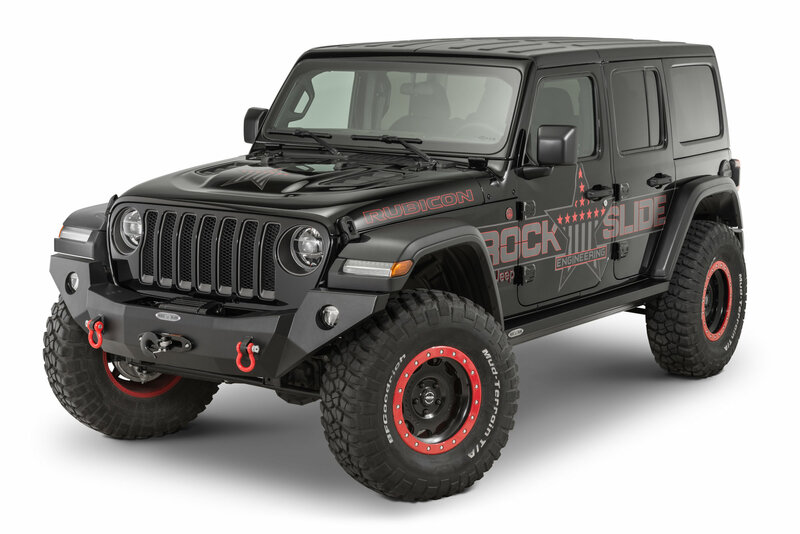 The Rock-Slide Engineering Rigid Front Bumper without Bullbar & with Winch Plate is manufactured from 10 gauge steel and powder coated textured black for a great finish right here in America. 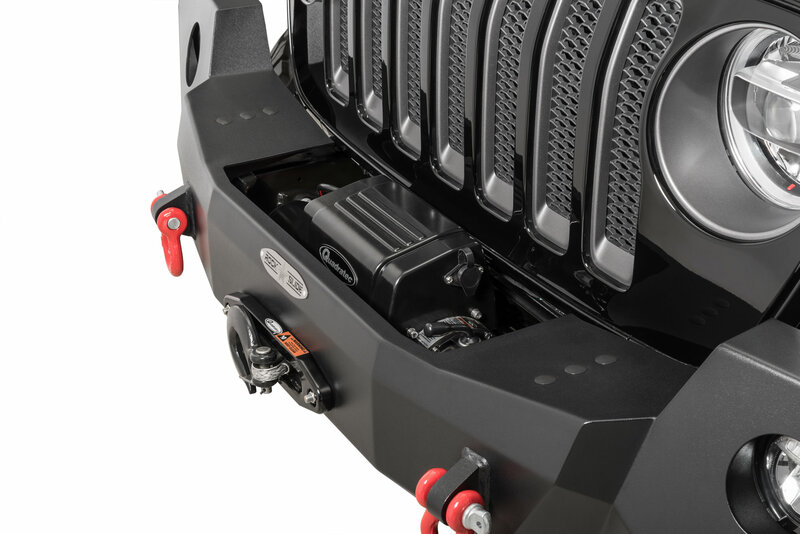 The built in winch plate mounts low, to allow for maximum airflow to the radiator. For some extra pull strength, there are shackle recovery points. There are also 4" round light pockets that work with most 4" round lights with a single post. 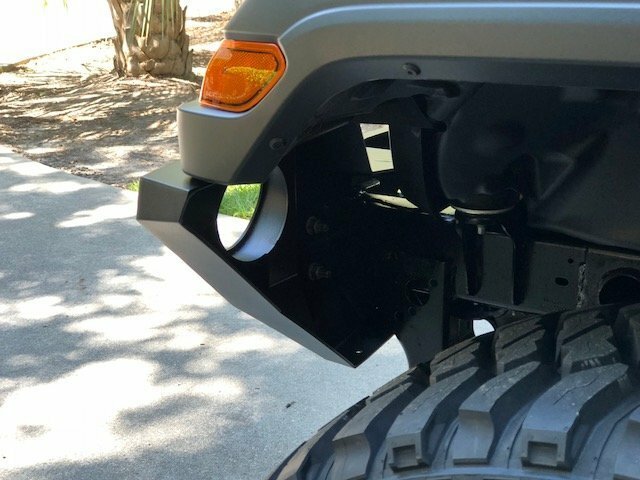 This bumper is made to fit your Jeep Wrangler JL. 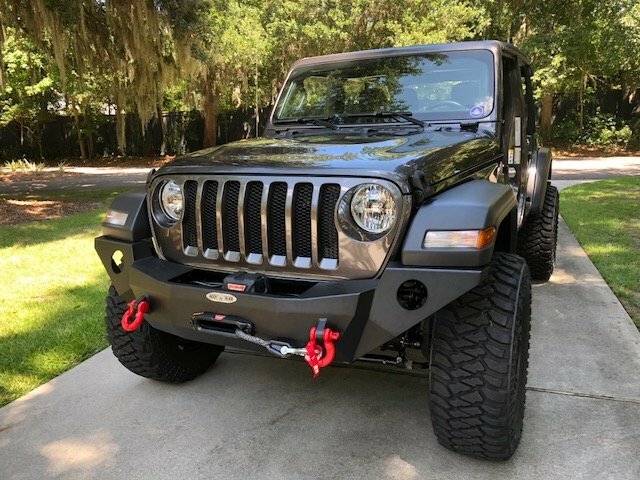 The fog lights from a Factory Steel Rubicon bumper can be used in this bumper or you can see the recommended fog light brackets for use with other fog lights. 10 Gauge Steel: Built to last, this bumper is powder coated textured black and made in America. Shackles and Light Pockets: Mount some D-Rings on the shackle recovery points for a nice look and functional capabilities. The 4" round light pockets work with most single post 4" lights. 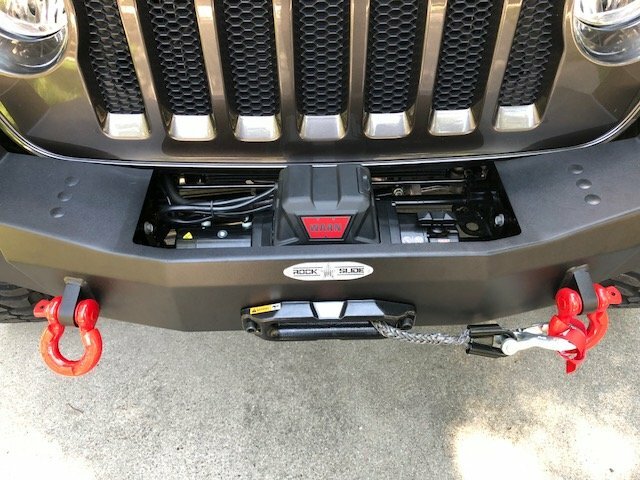 Winch Plate: Mount a winch in the winch mount opening to help a friend get out of a jam. This is absolutely first rate. The quality of the bumper finish is comparable to the fit and finish of the Jeep body. The only welds visible are those around the D-ring mounts. The installation is as smooth as silk. It took two of us about an hour and a half to complete the job and we were being very deliberate. 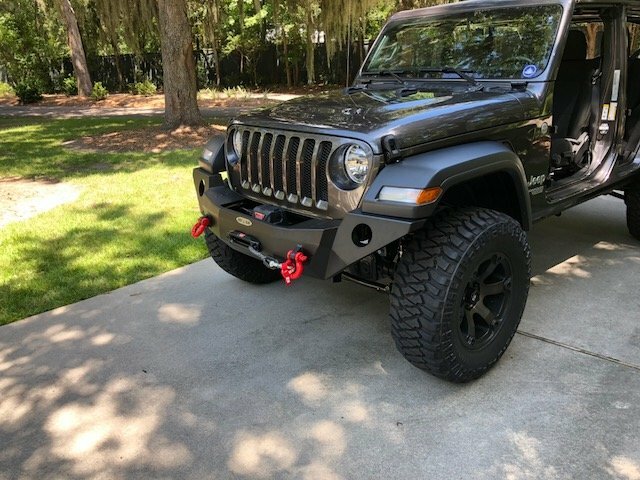 Just be aware that the fog light mounting bracket on the bumper was designed for the JL Rubicon lights and my JL Sport light brackets did not fit. A Rock Slide representative told me to try a J.W. Speaker bracket adaptor from Quadratec. 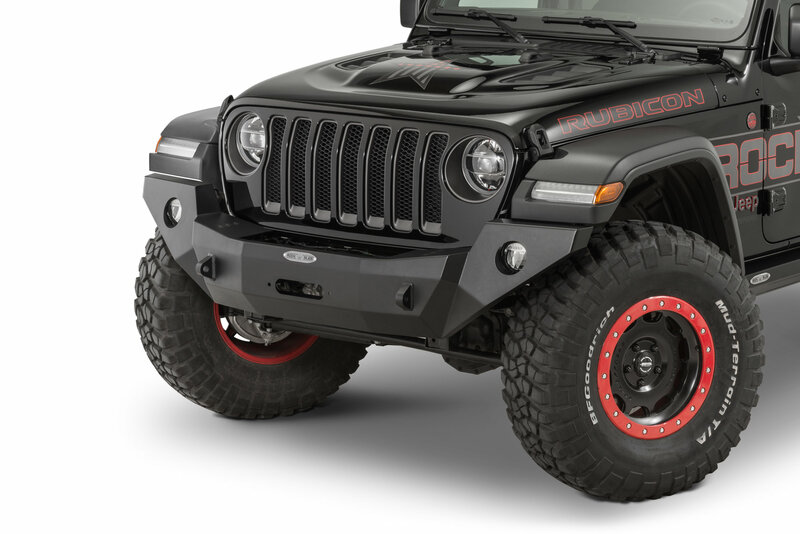 It didn't work so I have ordered the JL Rubicon fog light assembly kit. Hopefully it will work. Bottom line, I couldn't be happier with this bumper. I have decided to wait for Rock Slide to develop the rear bumper before I replace that. Jeff in Hilton Head.